· Upgrade Shri Nrusinghanath Ayurved College & Research Institute, Bargarh by opening abranch of National Institute of Ayurveda (http://nia.nic.in/). · Panchayat College Bargarh should be expanded to a full-fledged educational institute byopening PG courses including Computer sciences, Management, Biotechnology and Nursing. · As the Bargarh-Sambalpur area is considered as “rice bowl” of Orissa, a branch of central rice research Institute, (http://crri.nic.in/) should be opened at Bargarh area to promote agriculture, in particular rice cultivation. · Establish a unit of National Council for Cement and Building Materials (NCB) (http://www.ncbindia.com/) along with private partners in Bargarh as this institute can have multiple units. Apart from the main center in Delhi; it has its units in Ahmadabad and Hyderabad (http://www.ncbindia.com/units.htm). Bargarh has many cement factories it will promote a lot in expanding expertise in areas like cement manufacturing and building materials. 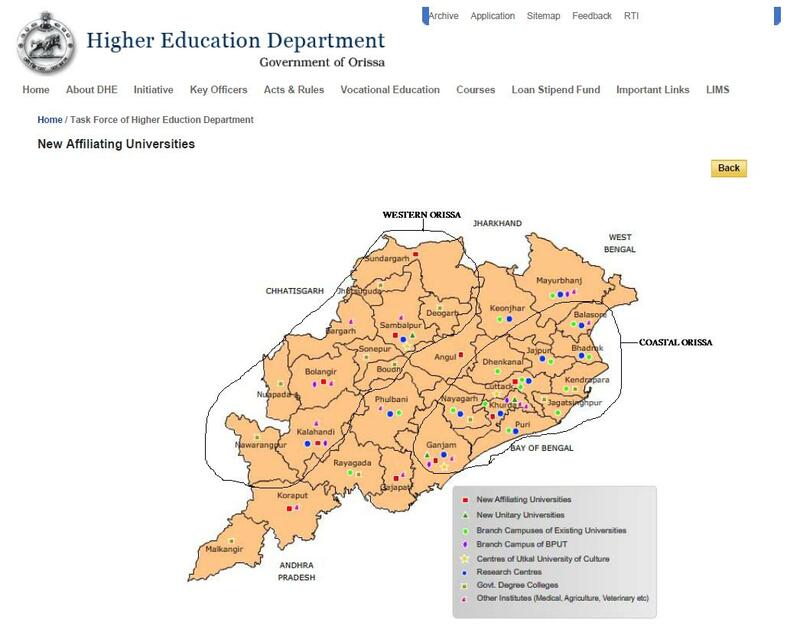 · GM College needs to be upgraded to a unitary university. · The Jharsuguda area has lot of Industries and going to have many more in future. A Council of Scientific & Industrial Research (CSIR) lab like National Environmental Engineering Research Institute (http://www.neeri.res.in/index.php) should be established in this area. This institute aims to strives to provide scientific, industrial research and development that maximizes the economic & environmental and social benefit for the people. · A branch of Institute of Forest research should be established in Deogarh (see http://www.envfor.nic.in/icfre/icfre.html). Deogarh will be a suitable place for this location; it has dense forest with natural environment. It will be a suitable location for branch of forest research Institute. Ushakothi (Badrama) Sanctuary is also close to Deogarh.